We have asked for a feedback from Mr. John Le Fevre, who is the Managing Editor of AEC News Today. He showered us with lot of good words. Thanks John for an awesome testimonial! 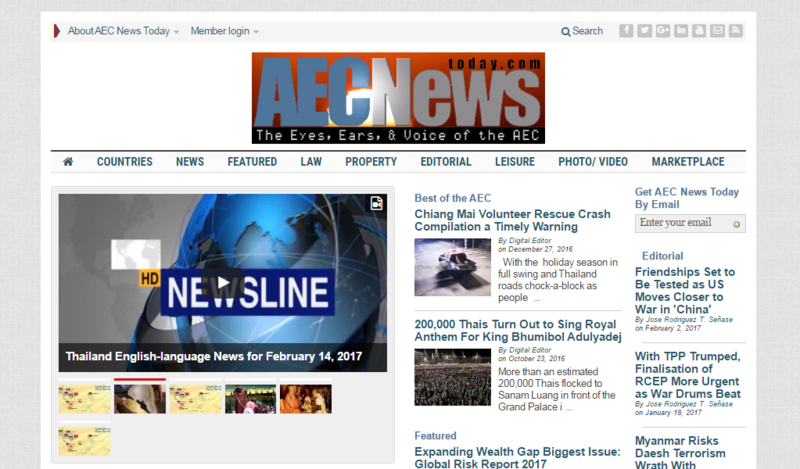 AEC News Today is a 21st century online publication focusing on the Asean Economic Community (AEC). We incorporate a range of media – high quality photo gallery slide shows, video, and punchy text – into every story. We have an exacting code of conduct for our writers, and our entire website uses organisation level SSL encryption for the safety of our visitors. A mobile app has been high on our priority list of ‘must haves’. Given the current focus on ‘fake news’ we needed to ensure that our mobile app developer operated to the same ethical standard as we do. We spoke with many developers in many countries. Some were more expensive than FirstWire Apps, some were cheaper. Some offered a basic product and then charged a lot for minor modifications or customisation. Some promised innovative features, but were unable to demonstrate the technical expertise necessary to make their promises a reality. The innovative features, responsiveness to our requests, and ability to tailor our mobile app for Android and for iOS exactly the way we wanted made FirstWire Apps the logical choice. Now at the end of the development process we are extremely pleased we entrusted our mobile app development and maintenance to FirstWire Apps. If anyone doubts the authenticity of this testimonial they are welcome to contact us (download the app) to seek verification.